In my experience, being an audiophile means, among other things, to always demand the best audio quality the circumstances allow. That also applies to mobility and listening to music while on the go or away from one’s full setup at home. That’s why portable DACs and amplifiers are born. Some manufacturers are taking the initial statement literally and offering portable products that offer extremely-high-res and DSD decoding. The Topping NX4 DSD is one for those devices and, as the name implies, it is capable of decoding DSD too. Disclaimer: I received a complimentary review unit from Topping to write this review. I will keep it for future comparisons. Please check the official product page for additional information. Switches for bass boost and gain Not really…? A comprehensive look at what’s in the box can be found in the Headphones in Pictures article I published on the NX4 DSD and the Yinyoo Pro. There’s a saying in Italy: squadra che vince non si cambia (“you never change a winning team”). Given how previous products got good reception from critics and public alike, Topping decided to stick with a winning decision. The Topping NX4 DSD is similar to its smaller sibling, the Topping NX1s, in that it has a body with rounded corners made from a single slab of aluminium and a knob protruding from the top. In this case there are no “horns”, though, so it looks streamlined and simple, quite akin to the other models in Topping’s line-up. In fact, the shell is identical to that of the NX4. The Topping NX4 DSD is available both in black, as pictured here, and in silver. It is made of three pieces (top, bottom and body) with almost no seam to separate them; the central piece has “NX4” carved directly from the aluminium slab, contrary to the NX1s’ printing. Build quality is top notch: the NX4 DSD is solid and resistant. The all-aluminium build should make it last for years and make it resistant to daily use – it seems like it doesn’t fear getting dumped in a backpack. Much like the NX1s, the Topping NX4 DSD is rather small and light: it is 11 x 6.8 x 1.4 cm and it weighs 147 g – it is definitely portable and can be slipped in a pocket with a phone without much afterthought, as it is not that noticeable once tucked away. On the top side you can find the volume knob (which also acts as the power switch), the power LED, the 3.5 mm jack input, the 3.5 mm jack output and two switches: one is for gain, the other for bass equalization. On the opposite side there are two different micro-USB ports: one is for charging, the other for data connection. The Topping NX4 DSD is meant to be used with mobile phones and other portable devices, so splitting charge and data ports is a neat trick to allow it to work without draining the battery of the linked device. It is not as neat as that used on the iFi nano iDSD Black Label, but it’s a practical alternative. The knob is machined and its shape helps grip; it is fairly hard to adjust, but in a positive way – it does not move freely and allows for precise adjustments. Its “resting position”, which indicates the device is off, is around 7 o’clock. It offers a bit of additional resistance when you turn it, and it clicks once the device is powered on. Topping chose to limit the possible inputs to just two: micro-USB and 3.5 mm jack. The former makes the NX4 DSD work as a DAC and amplifier, the latter just as an amplifier. In terms of output, the choice is not varied either: you can opt for the headphone out port or the line-out port, which is also the 3.5 mm input. There are no optical input or RCA output – this is a “pure” portable device with limited options. The NX4 DSD also offers two different switches to adjust gain and bass boost. The gain switch allows you to select either 0 dB or 8.8 dB, providing a large volume boost for hard-to-drive headphones. The bass switch alternates between no bass boost (with almost perfectly linear sound, as we’ll see later) and a bass boost that increases the volume of frequencies below 200 Hz. Linux is supported out of the box, without the need to install anything; the same applies to macOS, though I was not able to test this myself. Windows, on the other hand, requires the installation of drivers that are provided on the product page on Topping’s website. They’re especially needed if you want to play DSD files, as it is not natively supported by the operating system. Mobile platforms are also supported out of the box: iOS is supported without further actions (though you need to use the camera kit, as far as I know), while Android is more of a roulette because not every device supports USB audio output. The only way to know if your device supports it is to search online and/or to try it yourself. As a mobile-first device, anyway, the Topping NX4 DSD should work with most phones that support USB audio. Topping chose the new ESS Sabre ES9038Q2M DAC to power the NX4 DSD. It enables the playback of source files ranging from 16 bit – 44.1 kHz to 32 bit – 768 kHz, including DSD files up to DSD512. It is compatible with both native and DSD-over-PCM (DoP) DSD playback. Thanks to its 114 mW output on 300 Ω, the NX4 DSD is more than capable of driving demanding headphones. It drives my Sennheiser HD6XX and HiFiMAN HE-560 almost effortlessly, though they are quite demanding in terms of power. With the NX4 DSD, Topping managed to achieve low output impedance and that would make it suitable to use with low-impedance IEMs. The combination of powerful output and knob “dead zone” (a zone with strong channel imbalance), though, makes it difficult to use low-impedance or high-sensitivity headphones: the channel imbalance goes away around 10 o’clock, but the volume is way too high by then using 16~32 ohm earphones. In order to use those headphones I used the iFi Ear Buddy or the iFi IEMatch, so that volume would be more tolerable. I find the Topping NX4 DSD’s battery life utterly satisfying. Considering the size and weight, the ~8 hours I could squeeze out of it in DAC mode are truly remarkable. When using it as a headphone amplifier only, battery life more than triples. To put things in perspective, you can use the NX4 DSD in DAC mode for a full working day at reasonable volume levels, or three days in amplifier mode. As I already mentioned before, the charging port is physically separated from the USB input port: you can use the NX4 DSD with portable devices without draining their batteries. That is one of the issues that arise when using external amplifiers with mobile phones or DAPs – they do not “know” that the connected device should not be powered, so they send power through the USB connection anyway, draining the internal battery hella fast. The solution adopted by Topping has the drawback of requiring two cables if you want to use the NX4 DSD with your computer and keep it charged. I listened to the Topping NX4 DSD using the following headphones: Sennheiser HD6XX, HiFiMAN HE-560, KZ ZS6, TRN V10, Yinyoo Pro, Venture Electronics Asura 2.0s and Venture Electronics Monk Lite (both 40 Ω and 120 Ω). I used standard-res FLACs (and a few high-res files, too) and a few 320 kbps MP3s, too. The bass boost switch adds a significant amount of sub-bass thump, especially in the lowest frequencies. It helps bass-shy headphones or gives an additional serving of punch and depth to neutral sound signatures. Using relatively bright headphones such as the Venture Electronics Monk Lite, the difference is night and day: the bass boost gives the sound depth and body that would otherwise be missing. The effectiveness and the end result of the bass boost is ultimately dependent on the headphones and on the listener’s taste; technically speaking, anyway, it is a good implementation that does not generally make bass overpowering and bloated, but it just adds to what is already there. The one thing that the bass boost does not have is multiple levels: the iFi micro iCAN SE, as an example, offers two different levels of bass boost. That would come in quite handy, but I do not see its absence as a flaw, rather as a missed opportunity. While listening to music using the Topping NX4 DSD, I can’t hear any departure from neutrality. The device appears to have a completely flat response, so it does not get in the way with its own sound signature. There may be a slight roll-off in the sub-30 Hz region, but it’s so slight it is barely noticeable. This means the NX4 DSD is not really selective when it comes to headphones; you can just plug them in and listen to them without listening to the DAC/amp section – that’s lovely. Soundstage and instrument separation are “neutral”, too – the NX4 DSD does not interfere with the headphones and does not introduce any modification in music. The resolution and speed are great and the device is able to render small details and to drive fast headphones with competence, making them shine. That’s the case for the Asura 2.0/2.0s, as an example. The background is completely black, even using sensitive and hiss-prone headphones (the TRN V10 and the Venture Electronics Monk IE Smalls) and independently of the power source, be it the battery or the USB connection. There are no sound differences I could hear when using the line-out mode. This makes the Topping NX4 DSD a good source, too, and one can use it in tandem with an amplifier that better suits their taste or that has additional features (e.g. the iFi micro iCAN SE). In terms of sound, I could not identify large differences when comparing it against the iFi nano iDSD Black Label or the RHA Dacamp L1; when taking individual features away, the three sound so similar and they only have slight differences in the sub-bass region (which are quite hard to locate anyway). In the last year or so, since I started to work with Topping and to review their products, I have come to expect great features and great sound from their products. The Topping NX4 DSD does not let me down and comes out as a compelling device: its small size, large power output and basic but useful features make it an excellent product. I especially like the long battery life and the distinction between an input port and a power port, so it won’t impact on the battery of other portable devices. With the low output impedance leading to compatibility with low-impedance headphones and power output being sufficient to drive full-size cans, the Topping NX4 DSD is able to drive most headphones on the market. Its neutral sound signature means you won’t hear it – you will only hear your headphones, which is just great. Considering the sub-$150 price, the value of the NX4 DSD is excellent. Topping nailed it once again and created a fantastic portable companion. It is so good it is probably one of the best sub-$200 portable DAC/amps on the market right now! The Topping NX4 DSD retails for $149.99. I have a Topping NX5 that I use with my Fiio X5iii. After a about a year of using the pair, I am seriously considering getting a DAC/AMP just to get a different sound. I was considering the Chord Mojo, Oppo HA2SE or IFI Micro iDSD, until Topping launched the NX4DSD. Where I live, the NX4DSD is 5x cheaper than the other DAC/AMPs I mentioned above (!!!). So I’m in a serious dilemma now. How would you compare the NX4DSD to the other, better known, products? My main phones are the Pinnacle Px & Hifiman HE4xx. I’m also Planning to add the Massdrop Plus to this collection soon… Any opinion/input is greatly appreciated. Thank you in advance. Alas I do not have neither a Chord Mojo nor an Oppo HA2SE, so I can’t directly compare them to the NX4 DSD (I am not in favour of comparing equipment without having it on hand). Having that said, the Oppo seems like the least favourable option, as the company recently announced it is stopping production. If the other two are 5x more expensive than the NX4 DSD, I suggest going with it – it is a rather capable device. I do not know what volume you usually listen music to, but I found the NX4 DSD plenty capable of driving both the HiFiMAN HE-560 and the Sennheiser HD6XX to high volume while keeping good control. 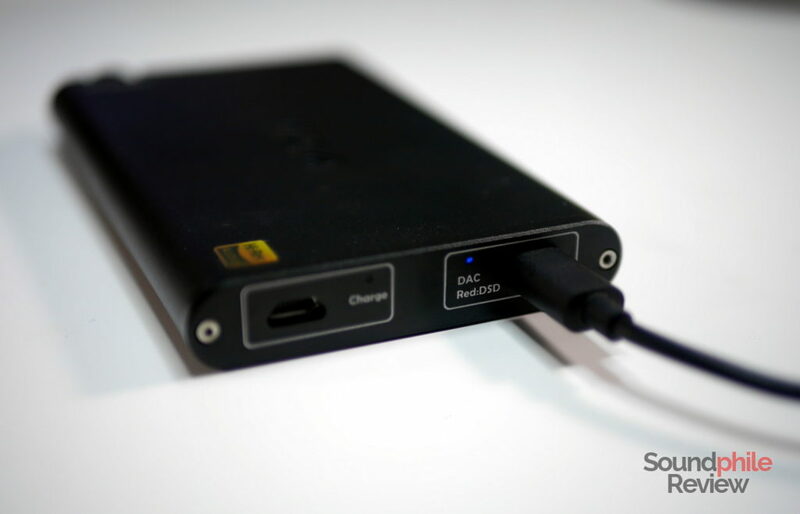 You may also want to have a look at the iFi nano iDSD Black Label (my review: https://www.soundphilereview.com/reviews/ifi-nano-idsd-black-label-review-black-beauty-1729/), which has a similarly small footprint and a few different features. I like the NX4 DSD and I think it has great value for the price. It is definitely worth checking out! Im planning to get this amp/dac but something stop me from getting this as i saw a similar product to this : the SMSL IQ, they are of almost same price range. Have you tried the SMSL IQ, if so can you describe the sound quality compared to Topping NX4DSD. Alas I never tried the SMSL IQ and cannot comment on its sound. 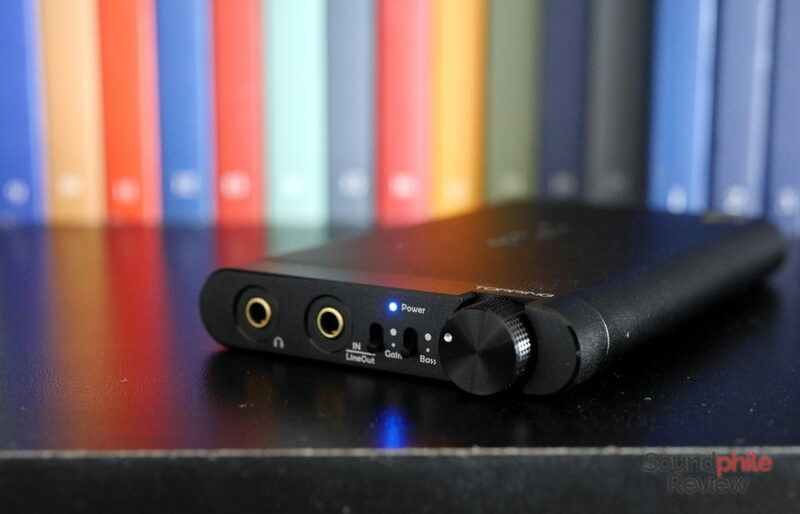 Judging from the product page, though, there are a few key differences: it is only a DAC and cannot work as an amplifier; it is based on a relatively older chip (ES9018Q2C vs ES9038Q2M); it offers balanced output through 2.5 mm jack; if offers significantly less power output (91 mW bal / 55 mW SE vs 293 mW). Hope this specs comparison can help you choose! Thank you for reviewing this. Seems Topping’s on a roll. 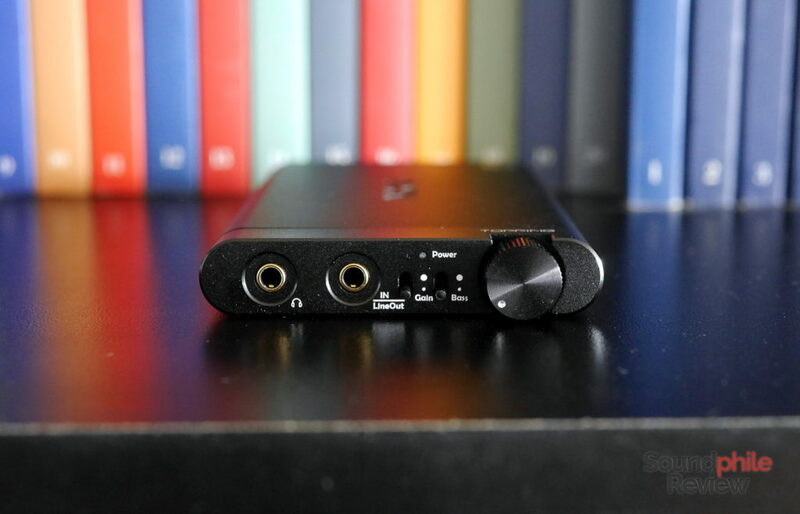 I would like to know if this dac-amp can output headphone and line out simultaneously like say the Xduoo XD05. Hi Yannick, that’s something I didn’t think of when reviewing the unit. I just tried it and yes, it works! Can i connect the lineout of NX4 DSD, to the aux input of my PIONEER DEH80 car stereo? Hi! I guess nothing prevents you to do that. Just be aware that you need a source device anyway (e.g. a phone or DAP). My source device is a Lenovo tab 4 10. I need big screen to manage my music collection. Will this be an improvement in sq over v20? I find v20 to be a touch brighter when used straightaway. Also I am not aware of how to bypass v20’s dac (my source) to use nx4 as a dac/amp. Could you please guide me about it…..? Hi! I don’t have a V20 on hand and can’t make a direct comparison, but I guess the NX4 DSD would be a big improvement in terms of output power so that you could use higher impedance headphones. That alone could justify the price if you want to use such headphones. As for bypassing the internal sound processing, you could install a USB-compatible player (e.g. HiBy Player) and just play music from there while the NX4 DSD is connected using USB. Between the NX4 DSD and ifi nano iDSD BL which is your go to DAC AMP? I’m split between the two – will use both Earphones with 32ohm impedance and as line out for speakers. I am wondering the same thing! i am between the same two devices. Honestly speaking, it depends on what you are looking for. The nano iDSD BL may be better if you are going to use it as a portable desktop device (e.g. 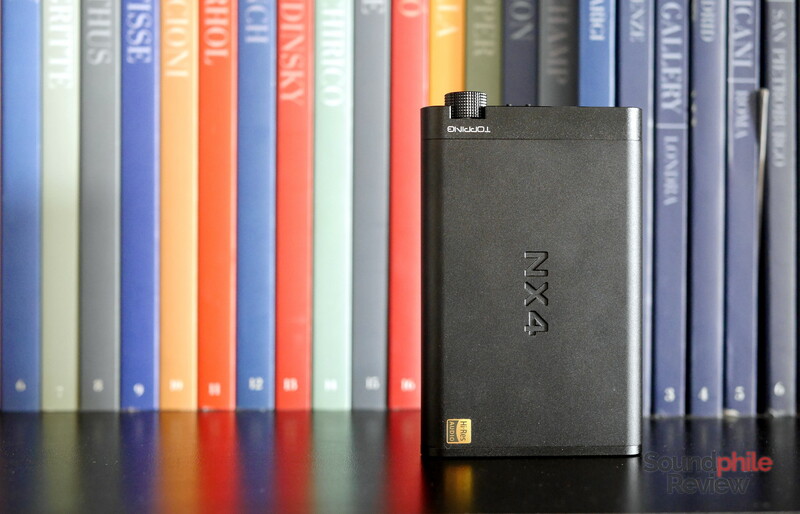 a DAC/amp for your notebook), while the NX4 DSD is better as a pure portable device (e.g. pairing it with a phone or DAP). In terms of sound I can’t hear any significant differences; the NX4 DSD has a bit more channel imbalance if you keep a low volume, but on the other hand it has a gain selector which comes in handy for higher-impedance headphones. It also can be used as an amp only and it has an integrated bass boost with good quality – the nano iDSD BL has neither of these features. Both are great devices. In the end, I would personally choose the NX4 DSD, but mainly because it is cheaper – the two are roughly equivalent and choosing between them is not easy. Again, it depends on what you are looking for – and for your usage either is just fine. Can NX4 charge and play at the same time? Planning to use one in a desktop with Fidelio X2. Yes, in fact that’s how I use it mainly. You just need to connect two cables, one for data and one for charge. Yes you can charge and play at the same time but you have to connect two usb cables. One for the sound and one to the charging port. I am a senior citizen and would simply like to know if the Topping NX4 DSD is compatible and will work exclusively as a DAC/headphone amp with my iMac 21-inch desktop computer since all my Lossless Jazz music files are in my iMac and I have various high-end headphones I would be listening with. Since I cannot afford the Chord Mojo, I am seriously considering it over the Oppo HA-2. Thanks very much! Short answer – yes, it would work perfectly! Thanks so much for confirming. So basically I plug the Topping into the back of my desktop iMac via USB cable (provided by Topping?) and my headphones into the jack in front of the Topping. Just plug and play and no drivers need to be downloaded if using my iMac? I apologize if I don’t seem technically adept at all this. I’m still in the 20th century and hopefully this Topping DAC/Headphone amp will bring me into the 21st> I’ve heard some great things about it and just may purchase it if I cannot find an Oppo HA-2 comparatively priced in used NM condition. Thanks again, sir for being patient and answering my questions! I do not have a recent enough Mac to try it myself (my PowerBook G4 will soon be 15…), but as I understand it there is no need for drivers on macOS. It should work as on Linux, which is the OS I use – I just plug it in, select it from the audio interface menu, and use it. So you should be totally fine with it! I used both with my HD 650 (HD 6XX, truth be told) and found them to be very similar. The NX4 DSD may be better if you want more power as it also has a gain switch that raises volume significantly. It also provides a bass boost switch that can help overcome the limitations the HD 600 has in the lowest part of the spectrum, if you are into that kind of thing. Anyway they are both very capable products that are almost interchangeable; the only significant difference is that I find the NX4 DSD to be better as a purely portable device due to its smaller size. Oh the ideia would be to use it as a portable amp and dac, but also as a desktop dac with tube amp in the future. Hi, the answer is yes to both questions. Stavo valutando l’acquisto in alternativa ad un Fiio A5 che però è solo amplificatore… secondo te funziona senza problemi con uno smartphone android, (Note4)!?! I do not know if the NX4 DSD works with the Galaxy Note 4 as I never tested it, but I don’t see why it shouldn’t either. 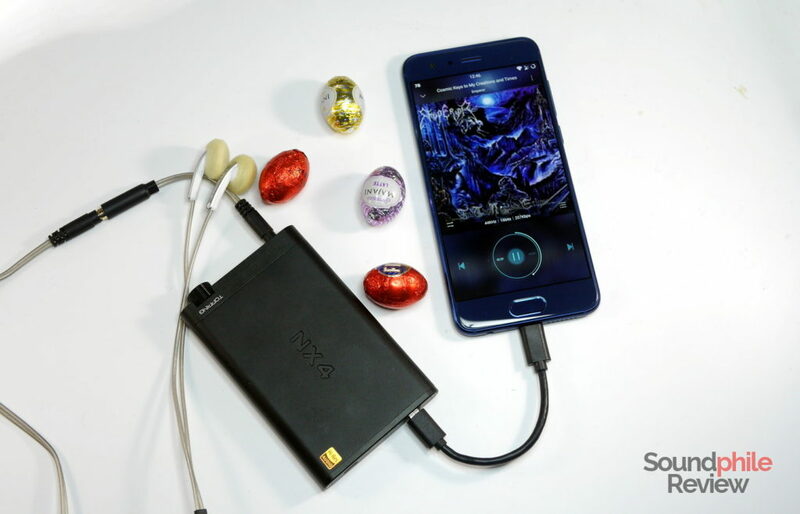 Considering it has a DAC stage in addition to the amplifier stage, it could be a better option if you are looking to also bypass the Note 4’s integrated DAC. Nice to hear that! I’m glad my review helped you. Thank you for sharing your thoughts! I just got my NX4 DSD. the dac can connect to my windows notebook perfectly (love the sq). but when I tried to connect the dac to my phone (redmi note 4), the blue indicator for dac is not on, and the sound still come from my phone. do you have any idea what is the problem? thank you. with the same problem in a Xiaomi Mi8. With micro usb cable to type c, can the cable be defective? Have you tried using different players such as HiBy Music or USB Audio Player? Does Topping NX4 has balanced output? Thanks. No, it does not (it would be indicated if it did!). Hi, I updated the article to include information on compatibility with Android. thanks for your review, I bought one of this. But I don’t understand how to switch from AMP only to DAC mode. 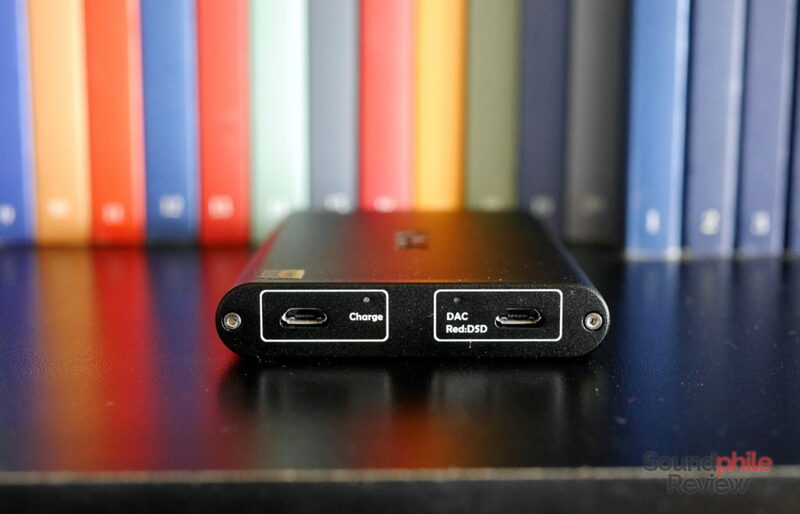 In order to use the NX4 DSD as a DAC you have to use the USB connection. If you use the 3.5 mm jack input, then it works just as an amplifier. I hope that answers your question. How can I connect the iPhone / (songs bought from itune)using both the DAC and Amp function together ? I quote from the review: “Mobile platforms are also supported out of the box: iOS is supported without further actions (though you need to use the camera kit, as far as I know)”. I never had an iOS device, so I can’t tell you more than that! I have both ifi Nano black label and Nx4. Here’s my take on it : I had the nano for a while and by plugging and unplugging constantly, the ifi usb male got less tight over time and by the end it wouldn’t make contact anymore. So take that with a grain of salt. Now, for sound, Nx4 had like 4-5 hours of burn-in to do because it was bright as hell in the beginning. After that, it sounded neutral and and the nano was a pad warm. This wasn’t appearant at all with my hd 6xx or th-x00’s. But with elex (which is more amp transparent) the differences are much more noticable. Lastly, Nx4 has much more ability to retrieve detail. Honestly, Nx4 is awesome. Only complaint i have is that it sounds a little less immersive than nano. Hi from Brazil, it works well with spotify in android smartphones ? It does indeed, but your smartphone needs to support USB audio output. Hello, does anyone compare with lg G7 (DACs ES9218P) is there a big difference in quality? I’m Paolo from Italy, I have an LG G6 (standard not the version with dac hi-fi) and a Tin Audio 2 (not pro) and I would like to improve the sound. Do you think the nx4 is a good choice? Would I have problems with the low output impedance of the nx4? The NX4 DSD is a solid choice. Just be aware of the fact that its output power is enough to almost blow up the T2 – you would surely benefit using an attenuator such as the iFi IEMatch (https://www.soundphilereview.com/reviews/ifi-iematch-review-1846/) or Ear Buddy (https://www.soundphilereview.com/reviews/ifi-ear-buddy-review-1501/). Low output impedance is not a problem – quite the contrary, in fact! As for alternatives, the Topping NX3S seems like an interesting device. You could also look into products such as the Audirect Beam (https://www.soundphilereview.com/reviews/audirect-beam-review-3115/) which are even more portable. I want to ask you, I have a HIFIMAN HE400i headset and a Niva R3 player, can TOPPING HIFI NX4 DSD swing these headphones so that the sound in them is loud enough? I want to ask you, I have a HIFIMAN HE400i headset and a Hiby R3 player, can TOPPING HIFI NX4 DSD swing these headphones so that the sound in them is loud enough? I actually tried the NX4 DSD with a HE-560 and had no issues at all, so the HE-400i should work like a breeze. Hi, could I use this with a note 9? If so how would I hook it up? Thank you for any help, I want to be sure its compatible before purchasing. I don’t have a Galaxy Note 9 on hand to test it, so I can’t tell you by first-hand experience. I know Samsung invested heavily in USB audio, though, so there should be no problems. The DAC chips are different (ESS ES9038Q2M vs OPA1642) and probably the amp chips, too. All other specs, including output power, are different. So yeah, they are different devices as the name would suggest! as far as sound quality goes is there a big difference ? No idea, never tried the NX4. well i guess ill find out, im just going to breakdown and buy the dsd version, thinks for the information!!!!!! Hello to everyone! A couple of comments after a year of using this wonderful device. After a good sound in a bundle – Axon7 and 1More triple driver, power and detail appeared, which did not exist without it. This is a significant upgrade for any smartphone, even the “musicality”. And in the desktop setup, eg – Asus XEOne and Beyerdynamic DT880Pro 250ohms, where prevailed the dark and massive sound, when replacing the DAC-amp, atmospheric lightness and high control of low range. The mid-frequency range of the device also looks neutral and natural.Therefore, this device is recommended to those audiophiles, who doesn’t want to spend a lot of money, but who are tired of the musical signature of the current equipment, and who want to get a more accurate and bright sound. went ahead and purchased the dsd version as i said i would ,I had no choice my dog jumped on my laps and knocked it off to the floor and broke my dac port connection on it .i am so glad i had a protection plan on it through amazon they refunded me the full amount i paid for it, so i just added the extra for the dsd version, anyway i have been listening to it for a few hours and it sounds ok but i prefer the the sound of the non dsd version. the newer model has a brighter sound to it which urks me quiet a bit and the bass on it is kind of loose sounding i am no audiophile by no means but i have been into high end audio for years.so i know a little bit about sound .the non dsd version had a warm sound to it which i loved and the bass on it was tight and well controlled compared to the newer model. if anybody out there has tried both versions please give me your opinion on it. i was some what dissapointed with it .